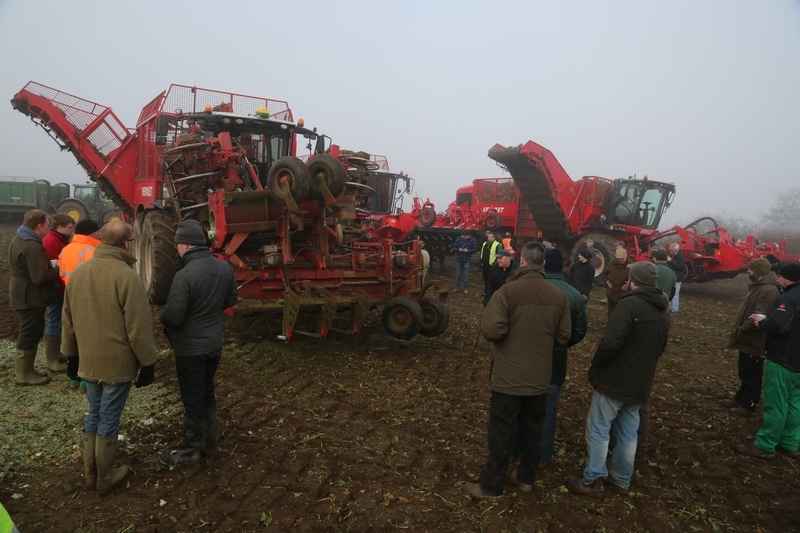 Over 500 visitors flocked to J Riley’s extremely successful biennial working demonstration on 31 January 2019 from all over the UK and beyond. 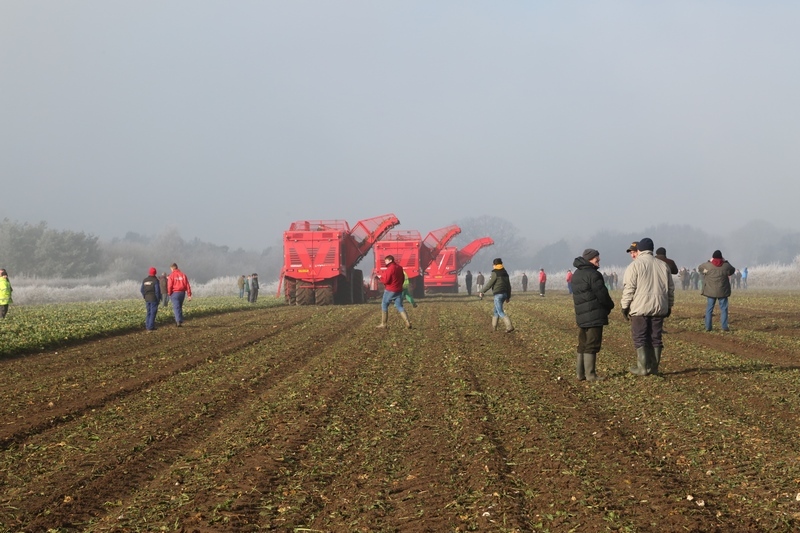 Lifting conditions were perfect, with an ideal venue kindly provided by H Jones (Farms) Ltd and the harvesters all running extremely well. The weather was cold but dry with mist eventually giving way to sun in the afternoon and making for some impressive sights as the impressive Vervaet harvesters emerged from the fog. 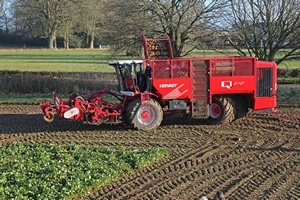 The full range was shown, consisting of the Q-616, Beet Eater 625 Evo and Beet Eater 925 Evo. 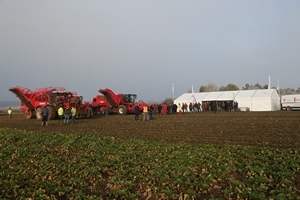 The hog roast and bacon rolls also proved to be as popular as ever! 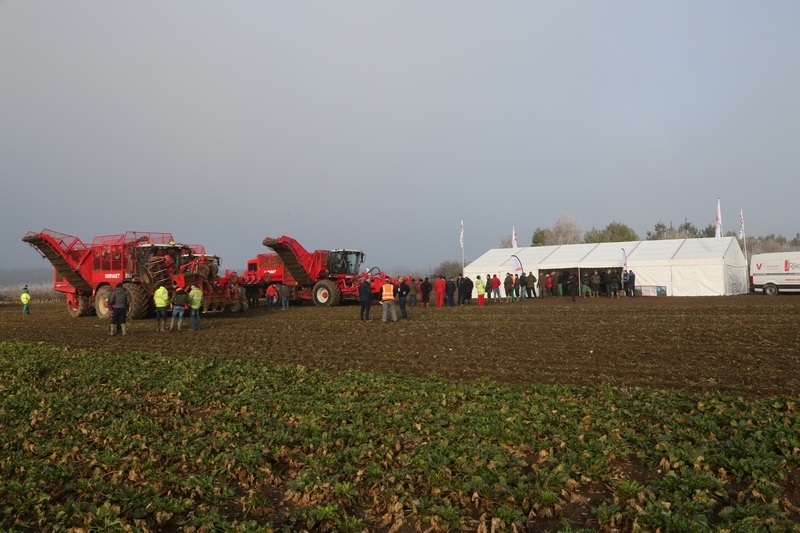 Thank you to everyone who attended the event and made it such a great success. New-look face-lifted Vervaet beet harvester models will be showcased at J Riley’s biennial working demonstration on 31 January 2019. The extremely popular event has developed a reputation as both a good day out and the best place to see the latest advances in sugar beet harvesting technology. 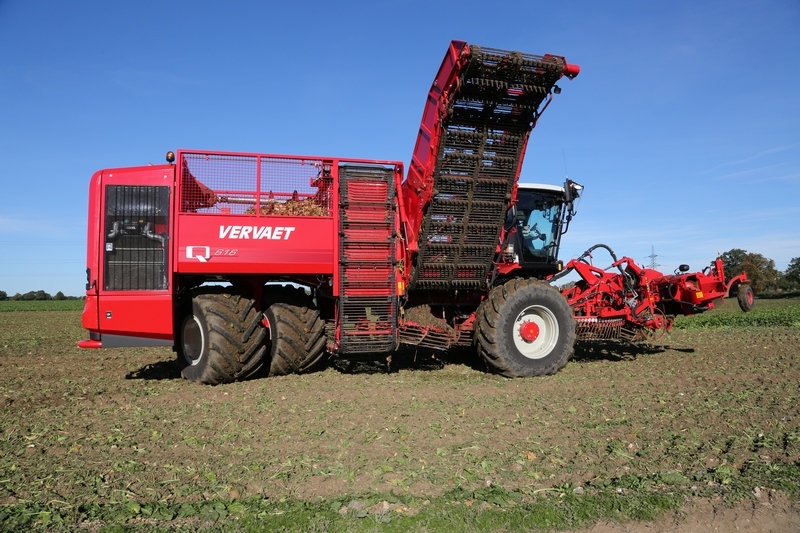 The Vervaet sugar beet harvester range has been the UK market leader for over 20 years. 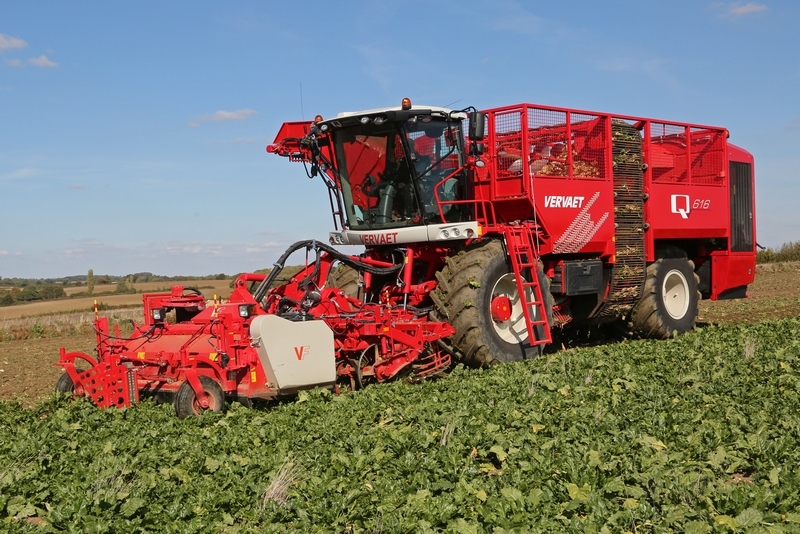 The harvesters’ ability to work in all conditions and soil types, coupled with first class backup and service mean they are still the number one choice for British farmers and contractors. 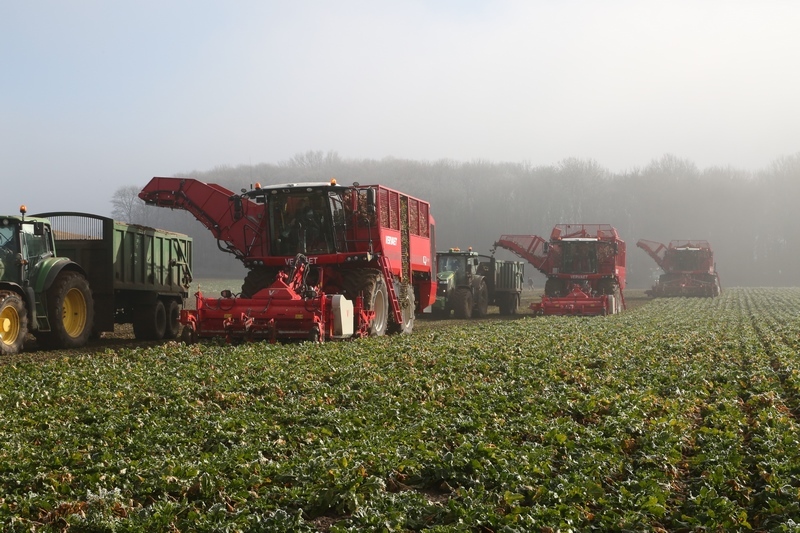 The full harvester range will be in action at the demo. 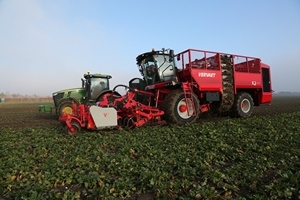 New in the UK is the latest version of the unique Beet Eater 925 Evo nine-row harvester with increased work rate and minimal soil damage from true one-wheel per track harvesting. 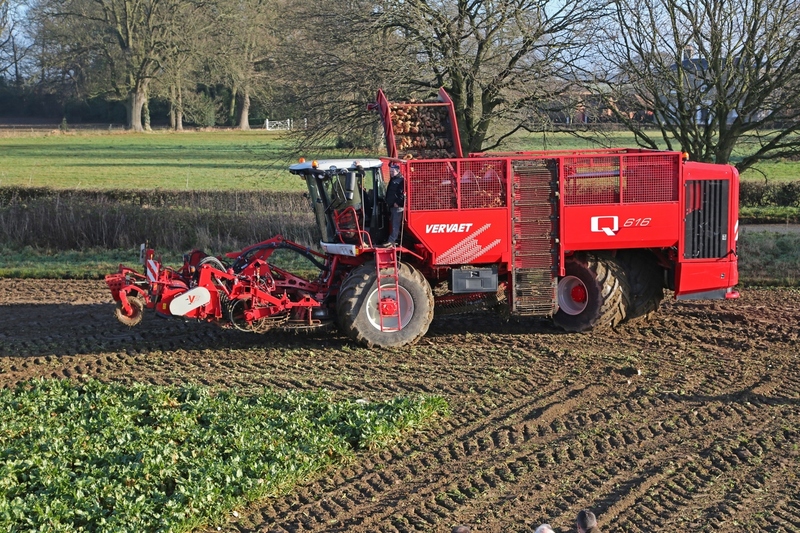 It will be working alongside the Beet Eater 625 Evo high-output six-row machine, the contractor’s favourite. 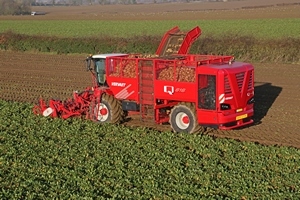 The Q-616, launched two years ago, has already proven itself as a highly-regarded replacement to the legendary 617, and will also be working. 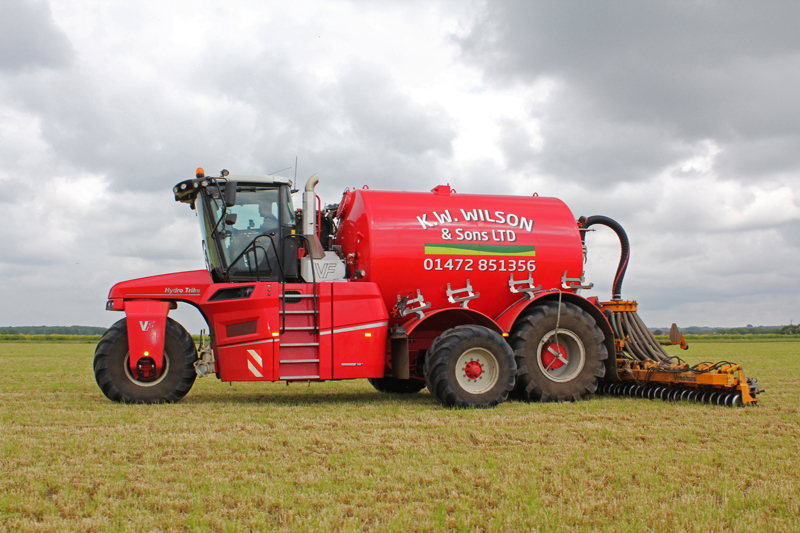 Refreshments will be provided including the now famous hog roast which always goes down extremely well with visitors. 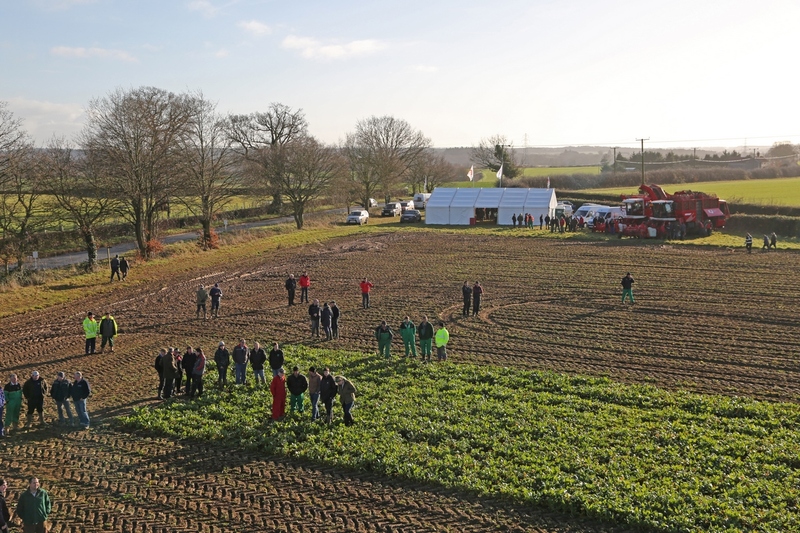 The demonstration will be held at Felthorpe Road, Attlebridge, Norwich, Norfolk NR9 5SU by kind permission of H Jones (Farms) Ltd. Signs will be in place on the day (Thursday 31 January). 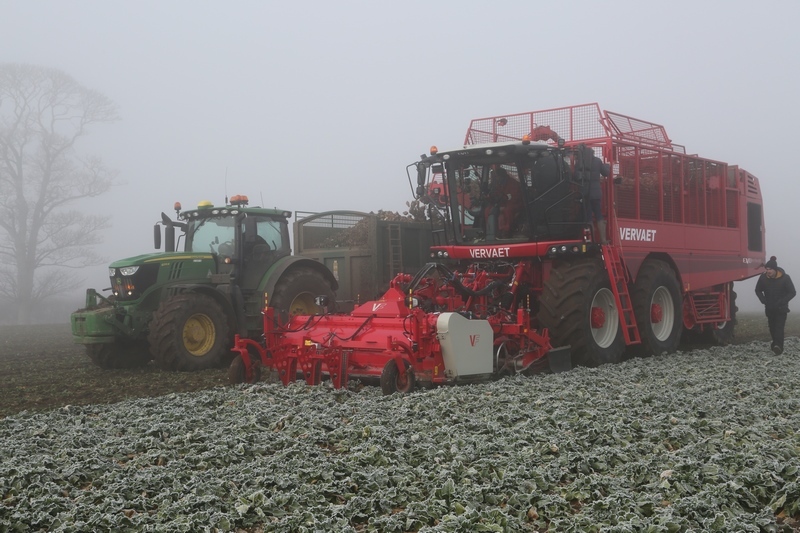 This year's new Vervaet harvesters have been starting off the 2018/19 beet campaign. 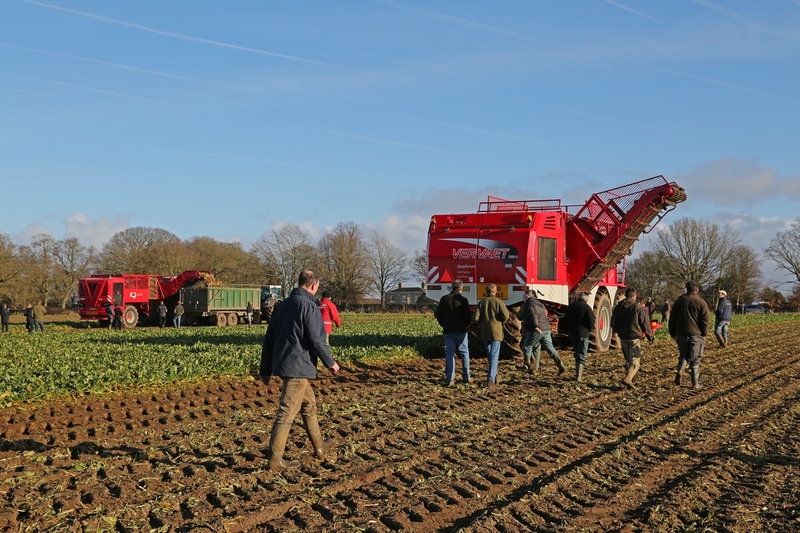 As well as brand new machines, each year Rileys also supply a large number of refurbished harvesters as well as carrying out thorough overhauls of many of our customer's own machines. 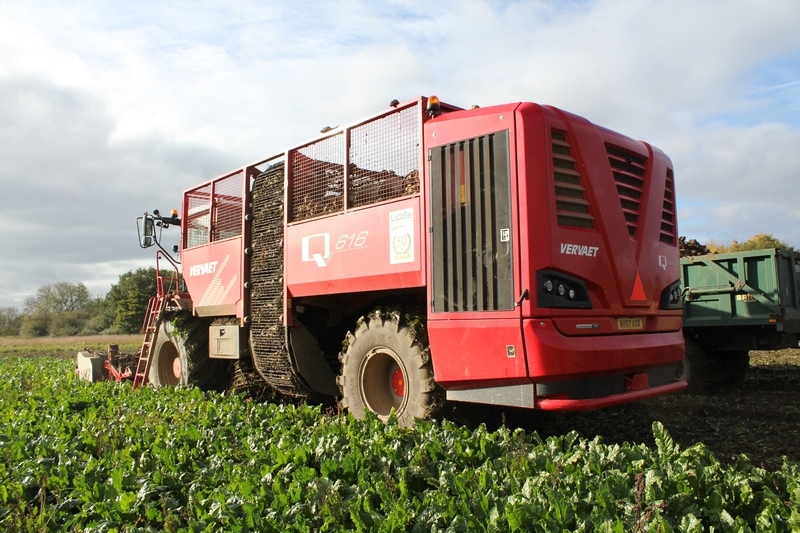 Four new members of staff have joined the team at J Riley Beet Harvesters (UK) Ltd over recent months. 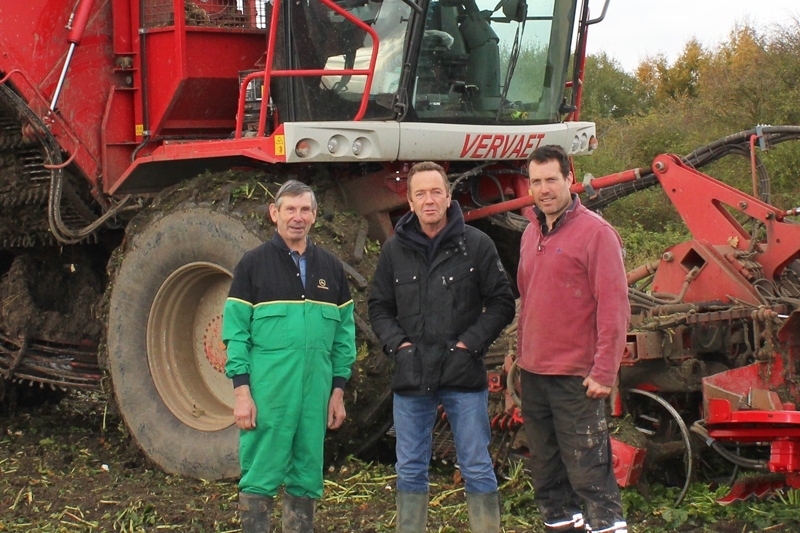 Ben Chandler started with the company in May and has taken over sales of the market-leading Vervaet product lines. 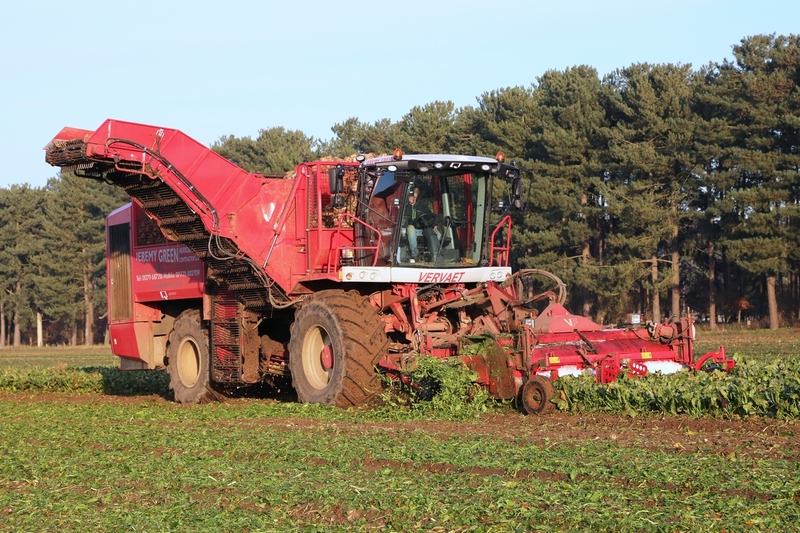 Ben has considerable practical experience working with and operating Vervaet sugar beet harvesters and spreaders, and has more recently been involved with tractor machinery sales in the Suffolk/Essex border area. 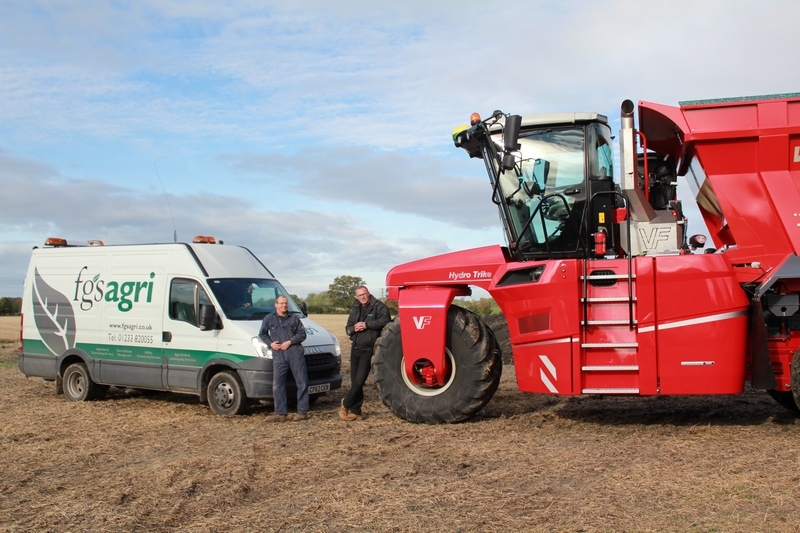 In the stores new parts manager Carl Fowler, who joined the company in February, brings considerable parts experience having previously worked in the industry. The workshop has also gained a new team member – Jamie Skelton. 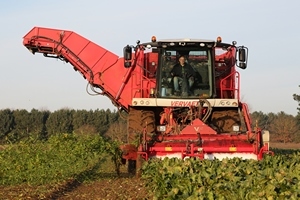 Jamie comes to the company from a farm machinery manufacturer and will be working alongside the rest of the workshop crew both at the yard and attending customer callouts when required. The office team has also been bolstered by Juliet Racher who joined at Easter as an administrator. 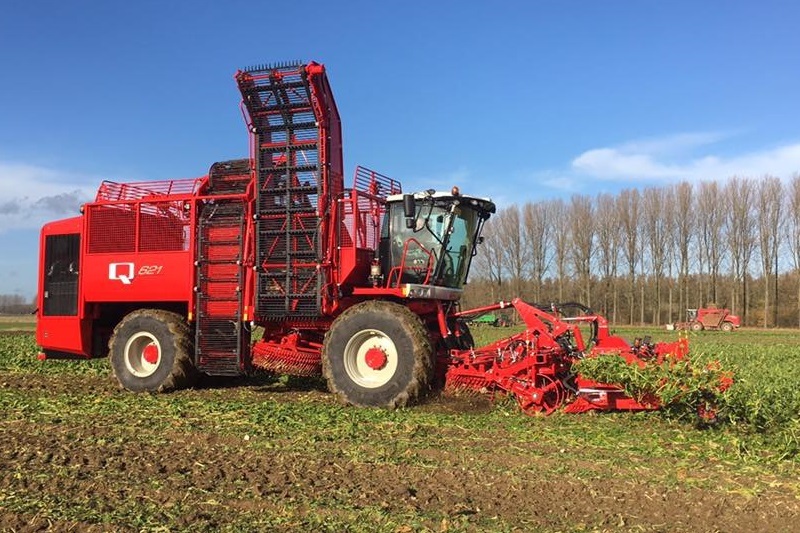 Leading Dutch agricultural machinery manufacturer Vervaet has purchased a 50% share of UK-importer J Riley Beet Harvesters (UK) Ltd. 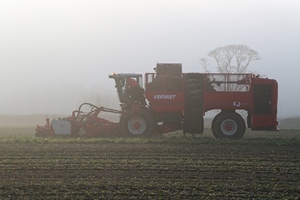 This strengthens the existing strong relationship between the two family-run companies, which now extends back over 25 years. 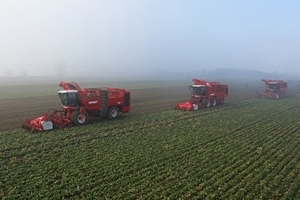 With no members of the Riley family currently in a position to continue the business, the move is deemed by both companies as the logical course of action in preparation for the future. 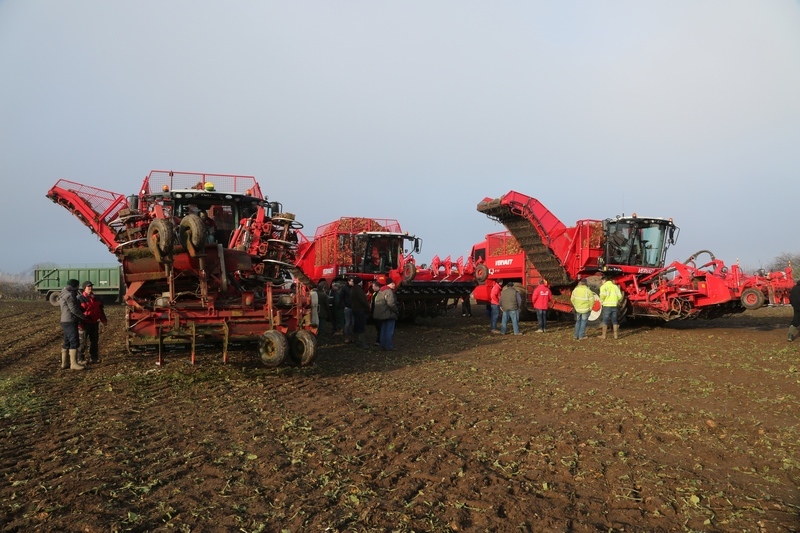 Headed by managing director Jeremy Riley, J Riley Beet Harvesters (UK) Ltd was established in 1994. Highly successful, the company currently has 14 employees based at its purpose-built premises at Attlebridge in Norfolk. Rileys have been the sole importer of Vervaet beet harvesters and Hydro-Trike self-propelled applicators since day one and it didn’t take long for the harvesters to become market-leader, which they still are to this day. 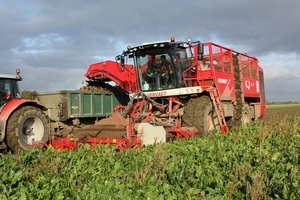 Customers are provided with extensive backup throughout the UK, and the Riley name has earned an enviable reputation for first class service. 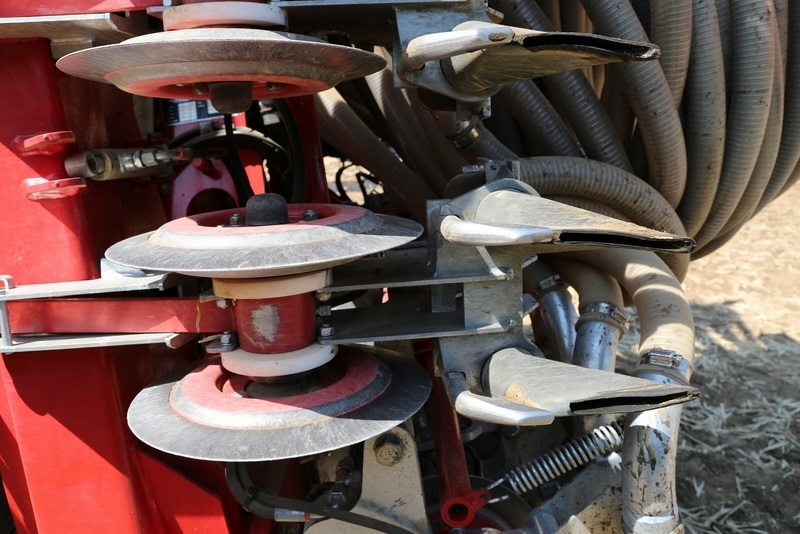 Second hand machines are usually fully refurbished at Attlebridge before being delivered to their new owner with a warranty. 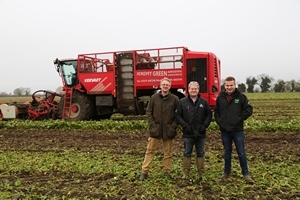 Today Frans Vervaet B.V. is run by Robin and Edwin Vervaet and the brothers reciprocate Jeremy’s thoughts about his own company and emphasise how essential the UK is to their business. A new Vervaet Q-616 sugar beet harvester has been producing impressive results for Norfolk-based contractor Jeremy Green, who took delivery of the new machine at the beginning of this campaign from UK importers J Riley Beet Harvesters (UK) Ltd.
Jeremy, who trades as Jeremy Green Agricultural Contractor Ltd from Bressingham in south Norfolk, originally started his contracting business 26 years ago with a year-old Massey Ferguson 3125 tractor and Landquip 3000-litre 24m trailed sprayer. 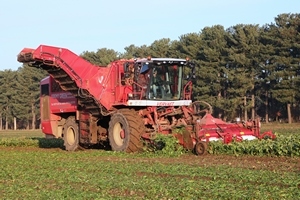 This outfit successfully covered a considerable area of contract spraying, and it wasn’t long before baling was also offered thanks to customer demand. The business continued to expand and stubble to stubble agreements naturally followed. Today the company employs six full-time staff and expects to perform around 1500 acres of whole farm contracting as well as offering individual services from beet drilling with RTK through to baling and even bulk haulage. 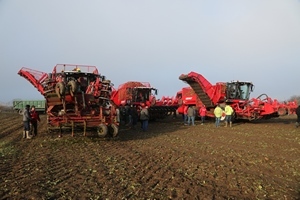 Sugar beet harvesting was first offered in 2010 when a round was taken on from local contractor David Scarfe, who had sadly passed away the previous autumn. “We have a very good working relationship with Rileys,” notes Jeremy. 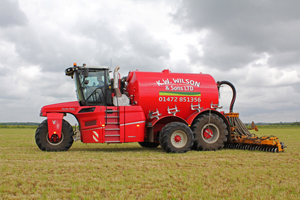 “Their service is fantastic and they will work with you. 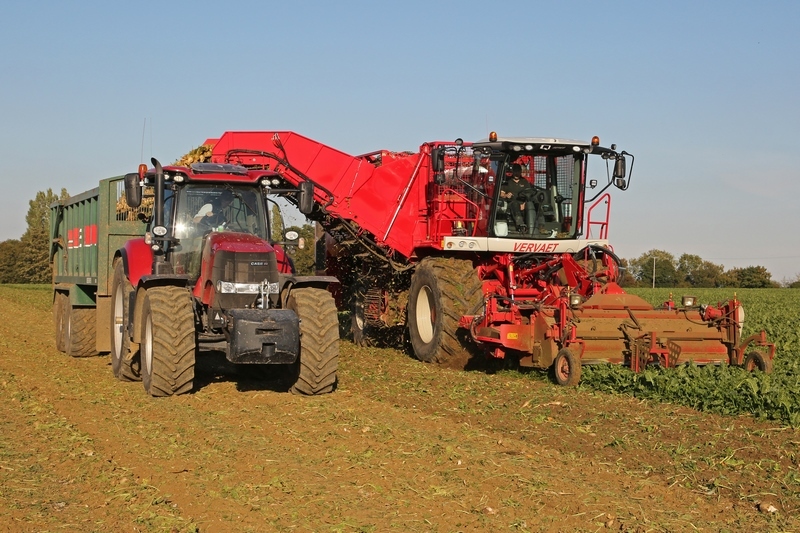 Last season we had an unfortunate accident at 10pm one evening resulting in a twisted unloading elevator. 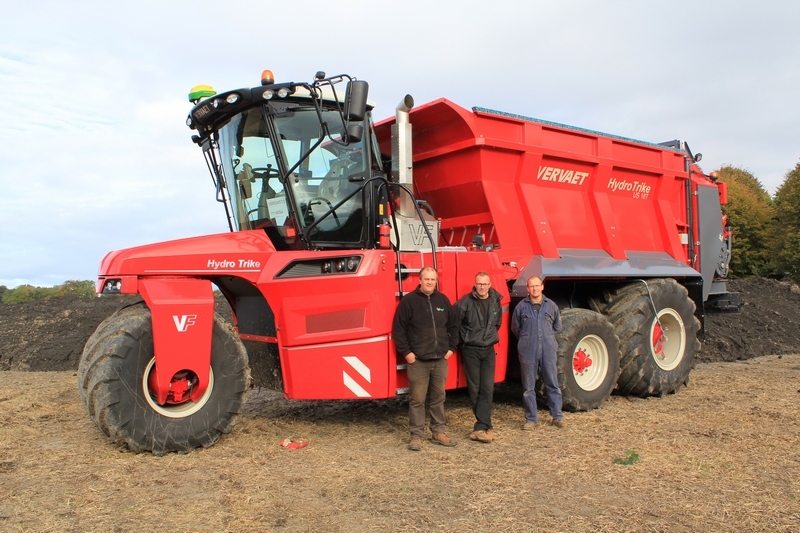 I rang Harry at Rileys and explained the problem, and we decided it needed a new elevator. They didn’t have one in stock, but there was one at the Vervaet factory which they could build up to fit my harvester. So I set off with a trailer and drove through the night to be at the factory the following morning, whilst they got the elevator ready. In the meantime Rileys sent two service engineers to help my men to change over the elevators, and they worked late that night. 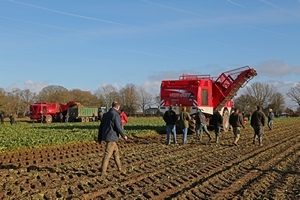 By lunch time the next day the harvester was ready for work thanks to the combined effort of Rileys, Vervaet and my own team. 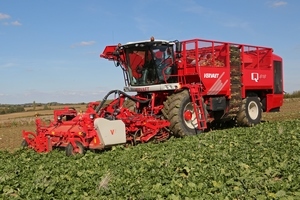 With Vervaet harvesters consistently proving to be the right machines for Jeremy’s business and the knowledge that he could rely on Rileys for backup, it was only logical that he looked closely at the newly launched Q-series when the time came to purchase a new harvester. 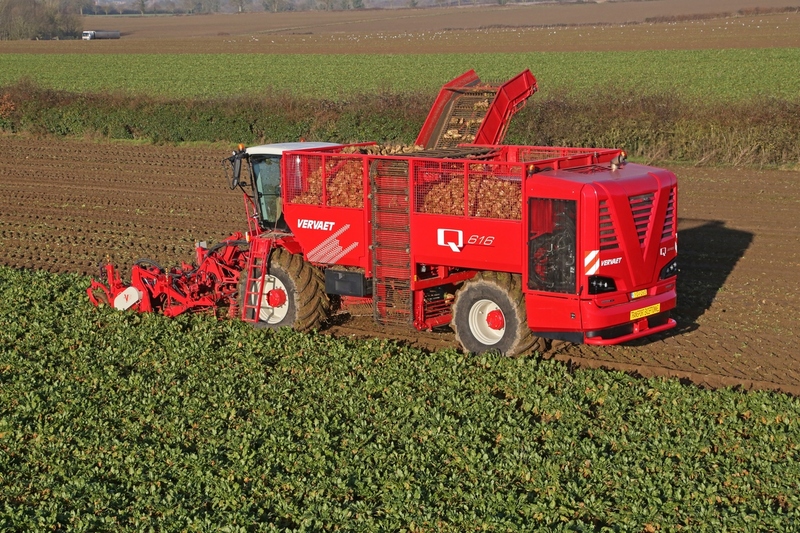 The new Q-616 is usually supported in the field by a 20-tonne Bailey Beeteaper trailer which was also new for this beet campaign and is perfectly matched to the harvester, reports operator Owen Page. 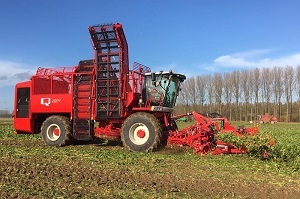 Bookings are now being taken for on-farm demonstrations of the new Vervaet Q-Series beet harvesters, report UK importers J Riley Beet Harvesters (UK) Ltd. 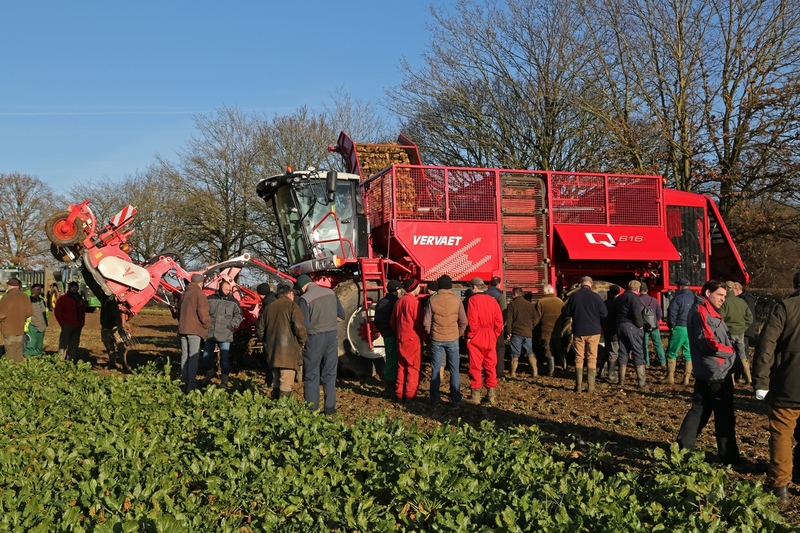 The models were shown for the first time in the UK at J Riley’s popular biennial working demonstration in January. 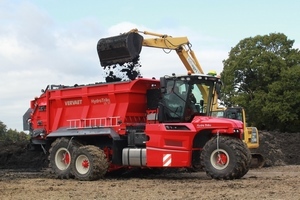 Notable new features include close-coupled rear wheels for a ‘one wheel per track’ layout with the machine’s weight spread over the full working width for minimal soil impact. 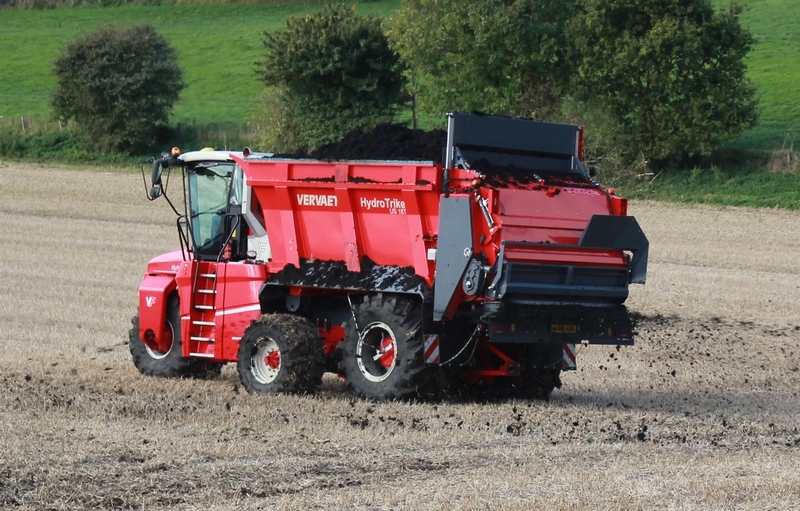 This new rear axle also provides extreme manoeuvrability with a very tight turning circle. 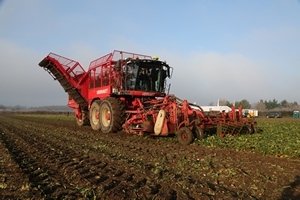 A new lifter frame is used, followed by improved cleaning with new turbine options which can be run slowly and are extremely gentle on the beet. The tank design is also new, with the ring trace mounted crossways and a longer elevator moved to the front of the tank. 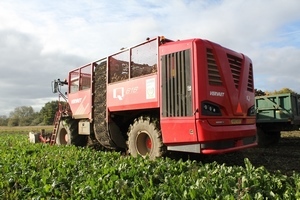 J Riley Beet Harvesters (UK) Ltd can be contacted on 01603 262526. North Yorkshire contractors and farmers G.A. 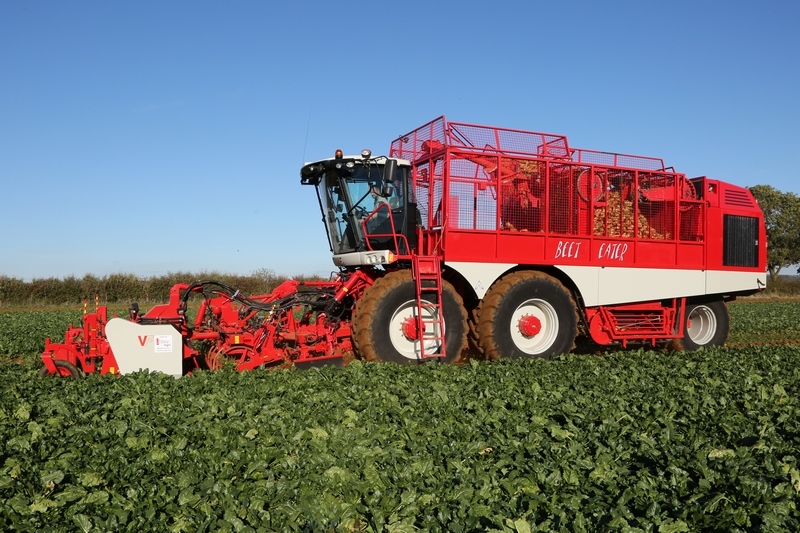 Liddle & Son took delivery of their 50th sugar beet harvester last month – a brand new Vervaet Q-616. 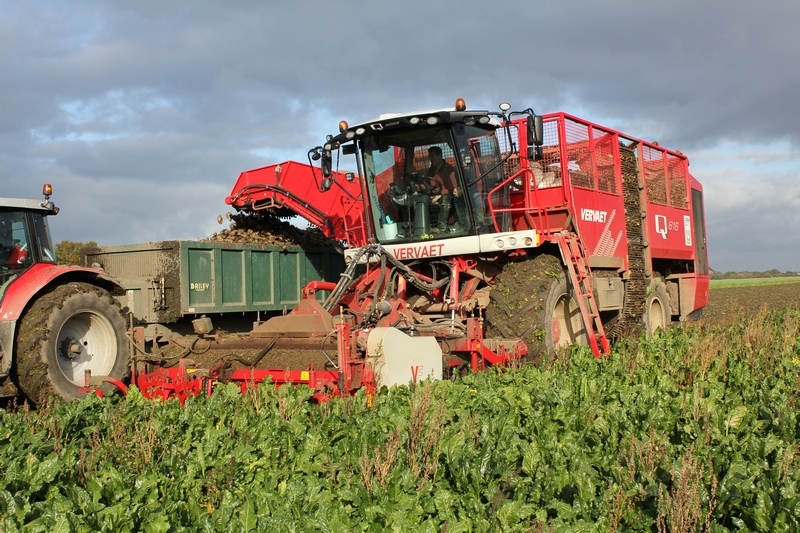 Based at Cawood, near Selby, the company has over 60 years harvesting experience and currently lifts a large area of sugar and fodder beet every season over a wide variety of soil types using two Vervaet harvesters. 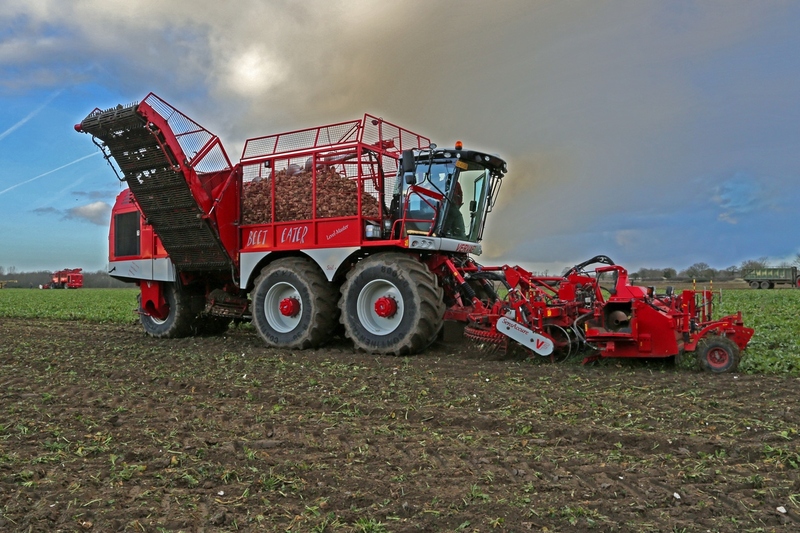 Geoff Liddle begun lifting sugar beet in the 1950s and over the years has run a long list of harvesters, including Standen Junior, Beet Master, Challenger, Rapide, Multibeet, Turbobeet and Sceptre models, plus TIM, Armer-Salmon and Rational trailed machines. 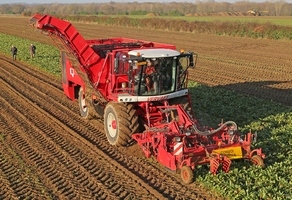 Self-propelled single-row machines arrived during the 1970s in the form of two Standen Cyclone machines fitted with Ford 3000 power-units. The Liddle family purchased their first six-row self-propelled harvester, a Moreau GR2, in 1985 which also constituted their first deal with Jeremy Riley – the beginning of a long-lasting business relationship. 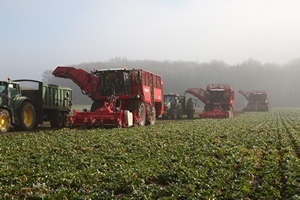 More Moreau harvesters followed, with an AT64 and two more GR2s which later gave way to two Lectra machines – by now two harvesters were being operated to cope with an ever increasing contracting acreage. The Liddle’s first tanker harvester, a Riecam RBM-300, was bought in 1995, and was followed by a further three Riecam machines. But a few years later in 2002 their first Vervaet harvester arrived, as Graham Liddle explains. 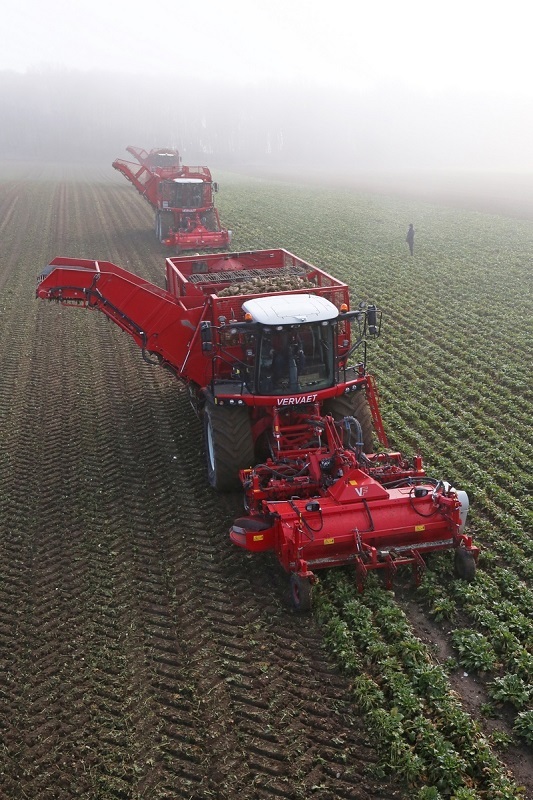 Following that first machine G.A. 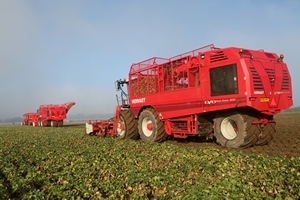 Liddle & Son have had a new Vervaet harvester almost every year since. Last year they chose to replace a Beet Eater 617 with the all-new Q-616, again from J Riley Beet Harvesters, thus continuing the long association between the two family businesses. 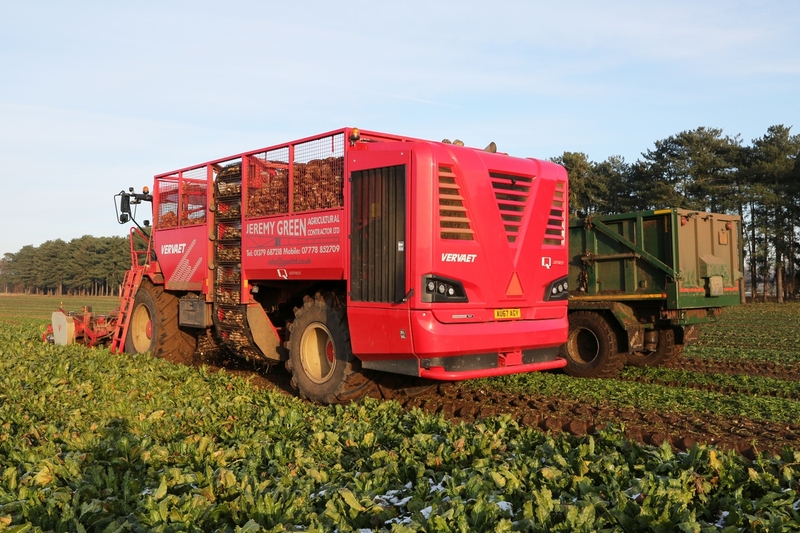 In addition, another Vervaet Beet Eater 617 is run alongside the new machine to provide additional capacity. 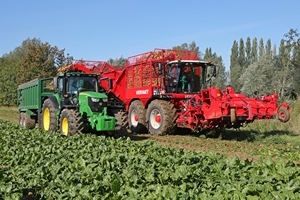 Two of the latest Vervaet Hydro Trike multipurpose applicators will be shown at Grassland & Muck by UK importers J Riley – one fitted with a manure spreader body and the other equipped for injecting slurry. 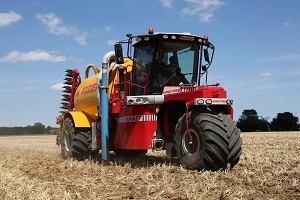 Well-proven, the Hydro Trike is a long established machine and was first introduced for 1991. 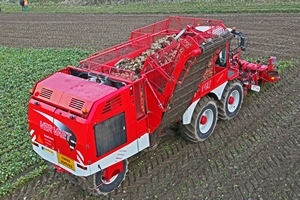 Extensive market research resulted in some unique design features key to its unrivalled success, and there are currently over 600 examples out in the fields across Europe. 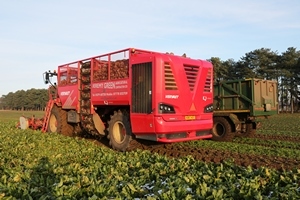 The latest machine is powered by an economical 510hp DAF engine. 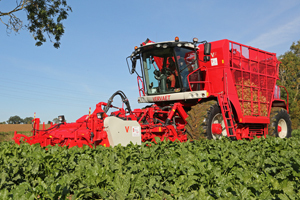 Drive is hydro-mechanical and provides an indispensible 40kph top speed. 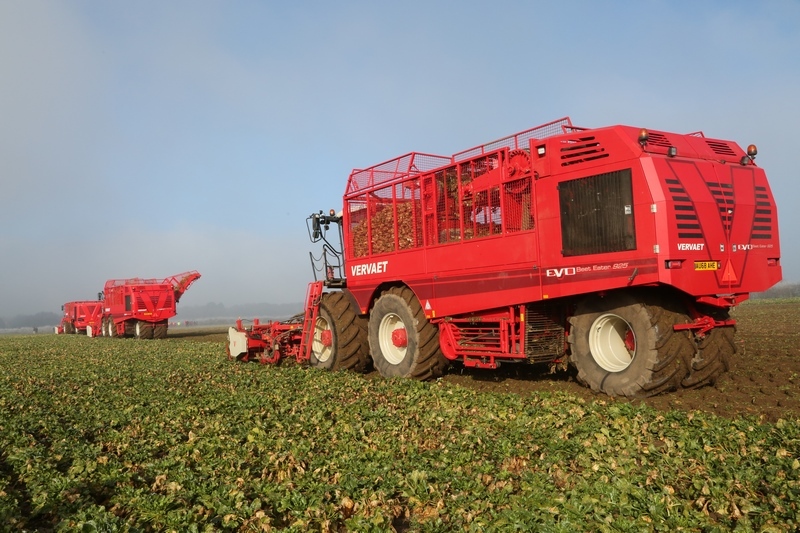 Large tyres spread the weight evenly over a 4.50m width when in work thanks to extending mid-axles which also provide stability when working on slopes. 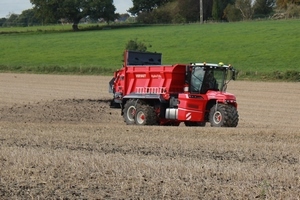 The five wheel layout with a single front steering wheel also provides fantastic manoeuvrability. The Panien manure spreader body is built specifically to Vervaet’s requirements and has a generous 18 cubic metre capacity. Two heavy-duty floor traces are driven from both sides, and can be reversed to quickly and easily clear blockages. Two beaters finely shred even the most straw-rich manure and large-diameter discs evenly spread to 24m. 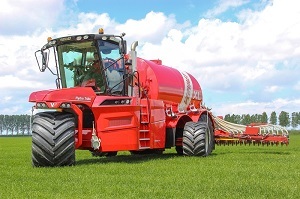 A 19,000 litre slurry tank is offered with an extremely high-output slurry handling system produced in-house by Vervaet. 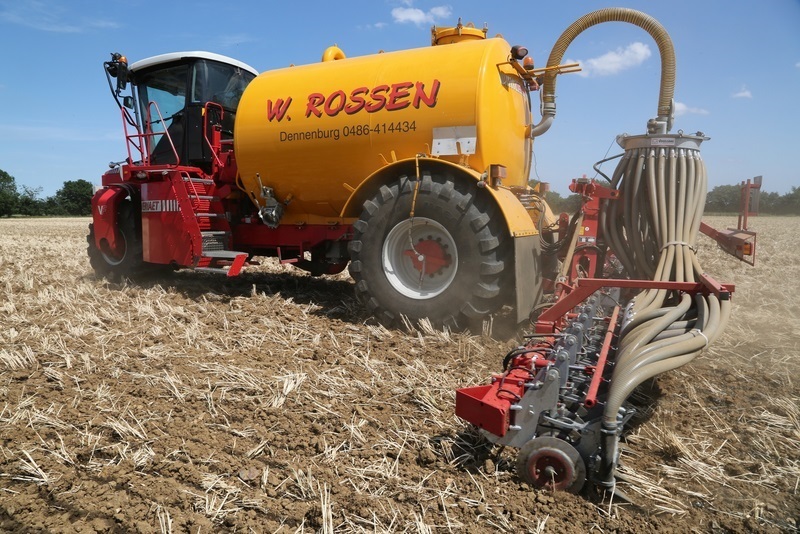 A variety of rear tools can be fitted on the Category 3 rear linkage to suit the desired application, from disc injectors and dribble bars for working in grassland and growing crops to cultivator injectors for working in stubble. 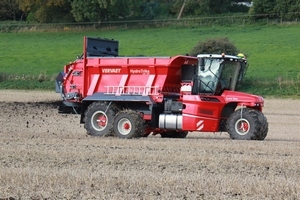 Accuracy of all applications is particularly impressive, with the rate controlled automatically by Vervaet’s own Tri-Control colour touch screen computer which also looks after the machine’s main functions. Unique to Vervaet, the John Deere NIR sensor can also be fitted ensuring full compliance with NVZ regulations. J Riley report massive interest in the all-new Vervaet Q-Series beet harvesters which received their UK debut at the company’s latest biennial demonstration. 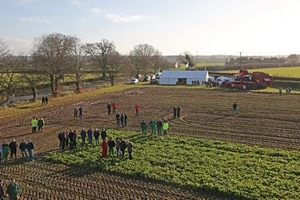 This was held on 5 January by kind permission of H Jones (Farms) Ltd at Great Witchingham in Norfolk. Both of the new models share the same ‘one wheel per track’ layout with close-coupled rear wheels enabling the machine to spread its weight over the full working width for minimal soil impact. 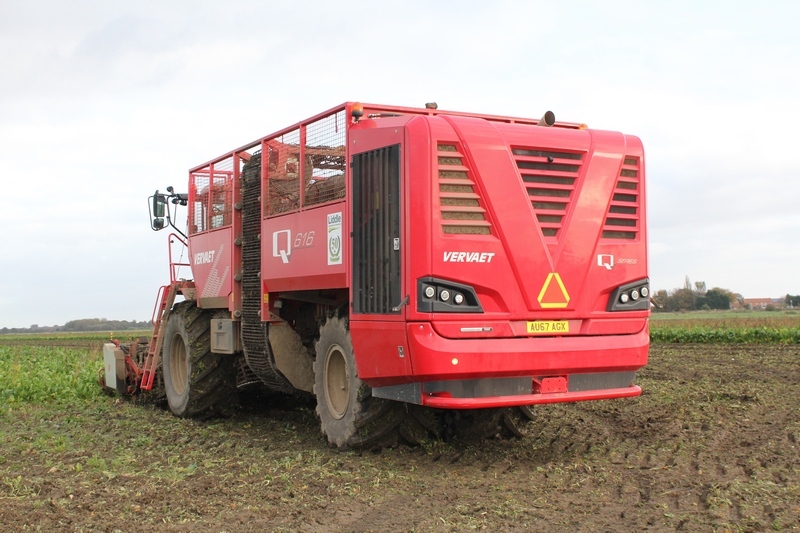 This also gives the machines extreme manoeuvrability and a very tight turning circle. 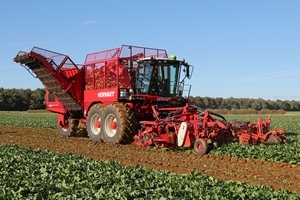 The new Q-Series harvesters feature a new lifter frame, improved cleaning and new turbine options, wider ring trace mounted crossways and a longer elevator now sited at the front of the tank. The engine is mounted crossways behind the rear axle for better weight distribution and easier access. 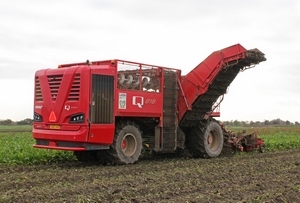 The option of a 40kph top road speed will appeal to customers required to travel long distances. 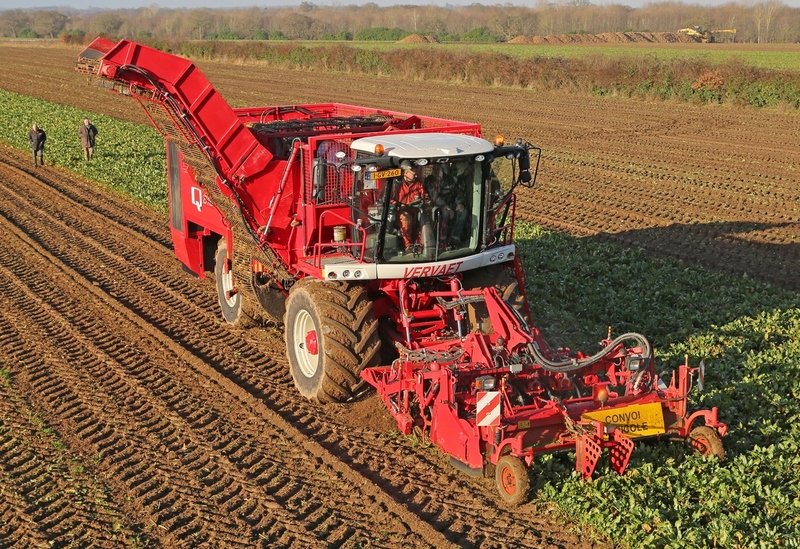 The lighter Q-616 with a 16-tonne capacity tank and 465hp engine is the replacement for the legendary market-leading Beet Eater 617 which has become the industry standard for many farmers and contractors with over 140 examples currently at work in the UK. The Q-621 boasts a 21-tonne holding bunker and a more powerful 510hp DAF engine. The latest generation Beet Eater 625 was also shown working alongside the new harvesters. 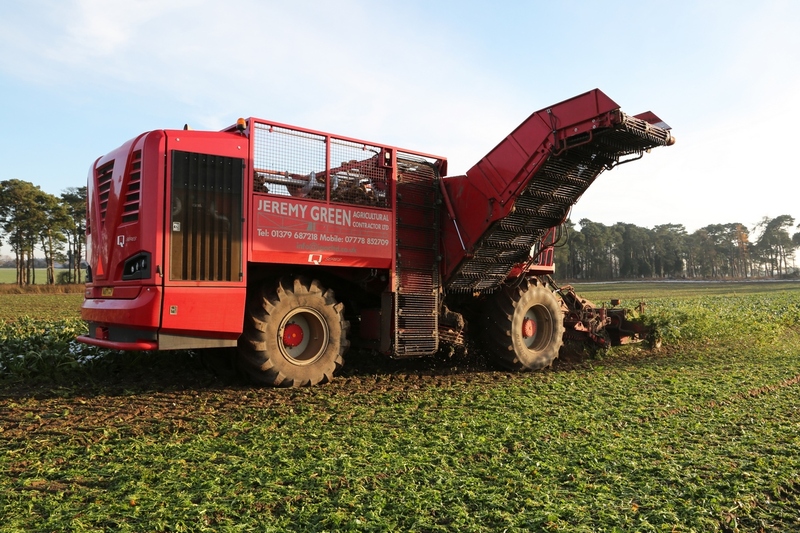 It’s powered by a 15.6-litre 623hp Mercedes-Benz Tier 4F engine and remains the firm favourite amongst large contractors working on medium and heavy soils, with an unrivalled ability to harvest in any conditions whilst maintaining full capacity. The new Vervaet Q-Series sugar beet harvesters will be making their UK debut on 5 January 2017. 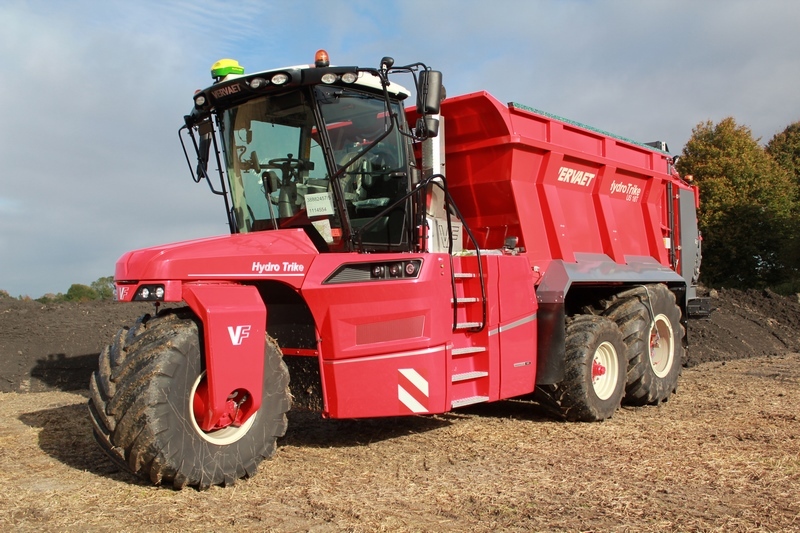 Kent-based FGS Agri has recently taken delivery of two new Vervaet Hydro Trike self-propelled spreaders from UK-importers J Riley. 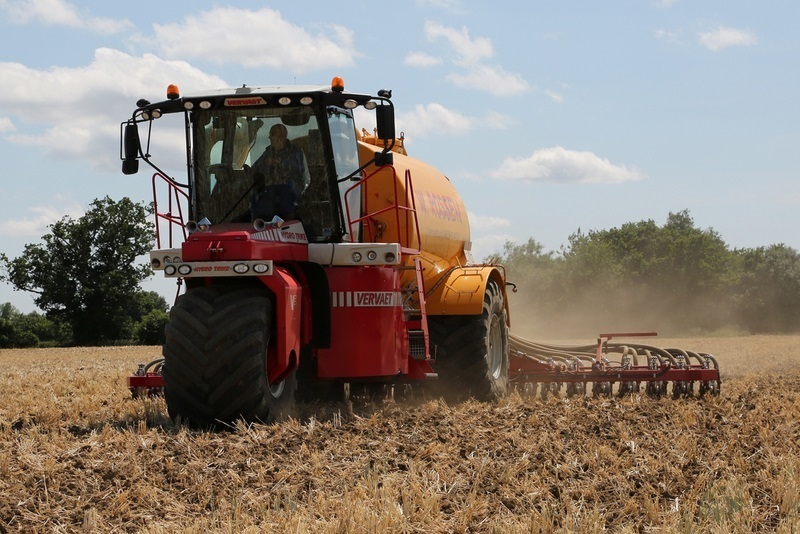 FGS Agri has just successfully renewed their five year Contract for spreading around 350,000 tonnes of biosolids per year using five self-propelled machines on behalf of Thames Water, so they know what they’re talking about when it comes to spreading. The new Vervaet machines are powered by 510hp DAF engines and are fitted with specially designed integral 18-tonne Panien spreader bodies. 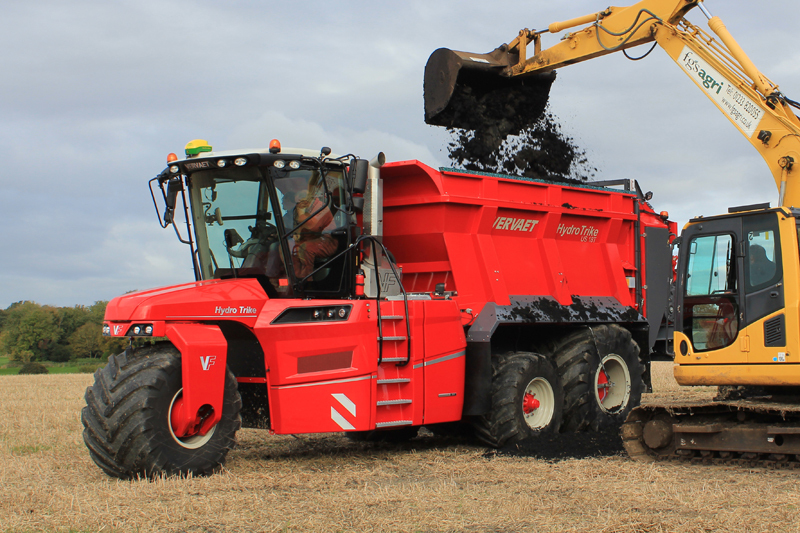 Large tyres spread the weight evenly over a 4.50m width when in work thanks to extending mid-axles. Biosolids contract manager Bert Essink explains why the company has chosen to invest in the Vervaet machines. “The spread pattern is very good,” Bert continues. “It’s even better than we expected. Although it’s too early to comment on wear and tear our initial thoughts are very positive. 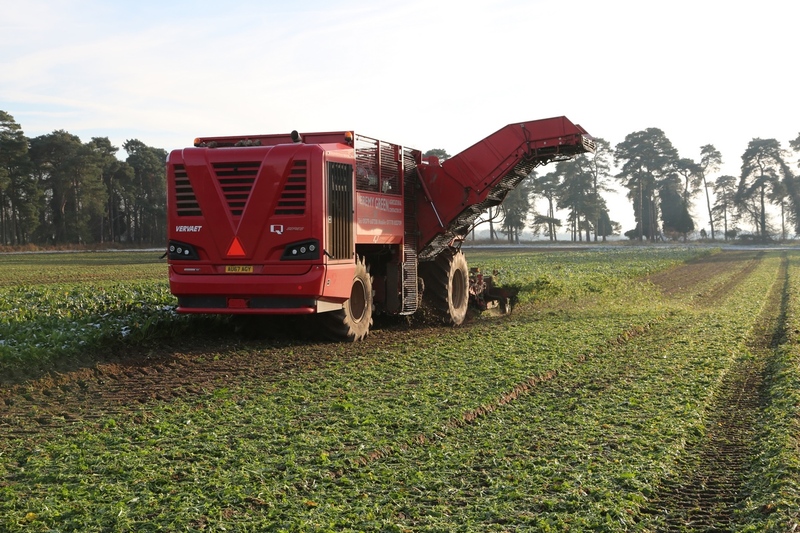 Good features like an automatically tightened bed chain are also important, we think that’s a very good system. Fuel consumption also seems good, although we need to do a couple more tests, but she’s not thirsty, put it that way. 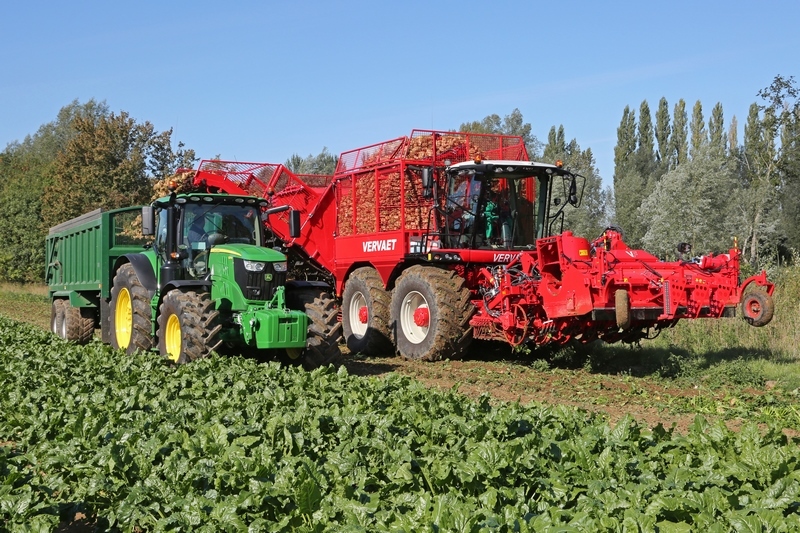 A brand new sugar beet harvester with a completely new design is on the way. 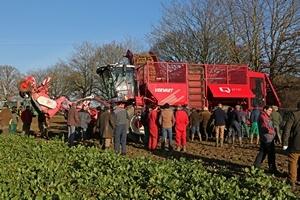 Demonstrations will be available beginning in February. 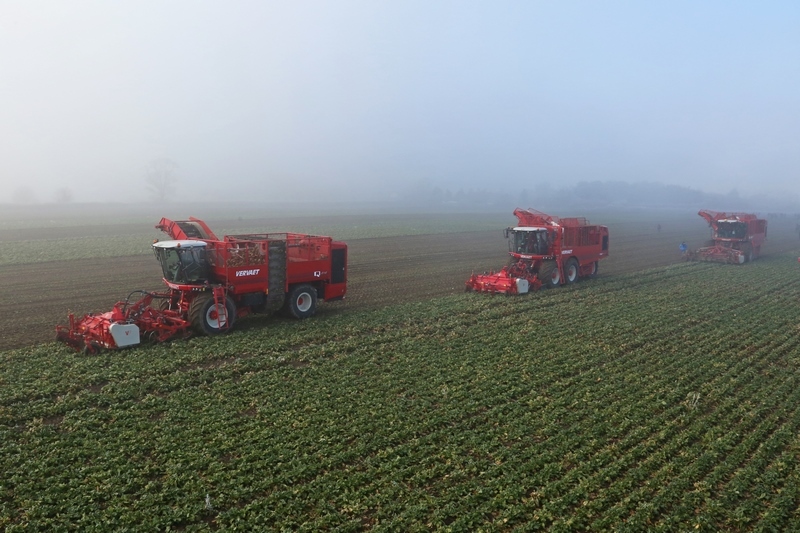 To find out more about the new model and to book your personalised demonstration please contact the office. 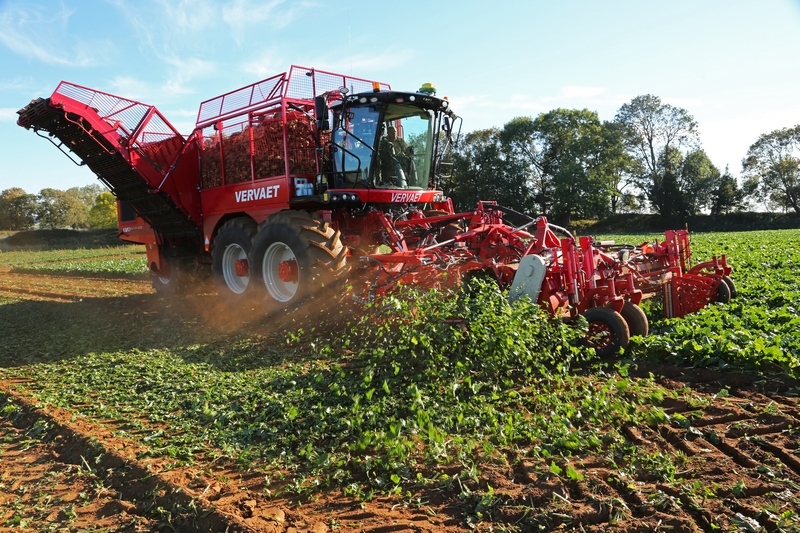 Vervaet Hydro Trike demonstrations continue with both the injector and spreader out at work. 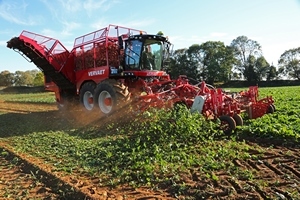 Please contact Henry Baker on 07825 631377 for more details or to book a demo. Seen working in Norfolk, the 14,000l capacity Hydro Trike is applying 25m3/ha of digestate to wholecrop rye stubble through a Schuitemaker disc injector at a forward speed of 12.5kph for a very high output. 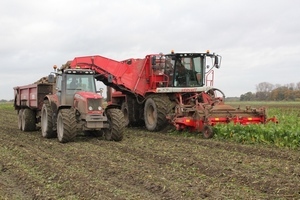 When working on grassland this has been even higher still.